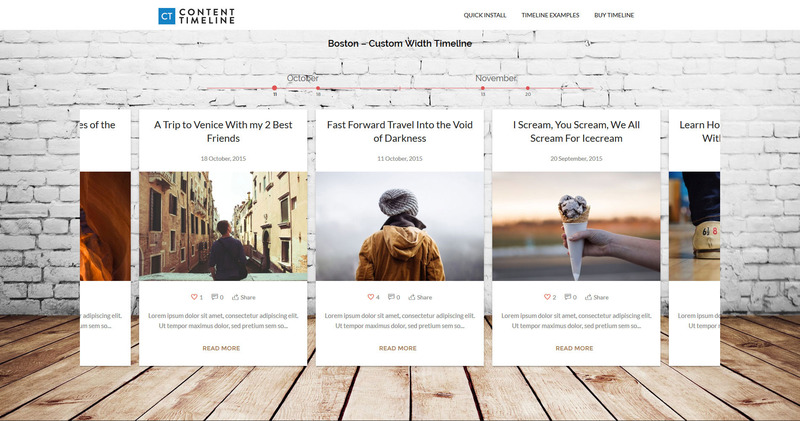 With our responsive wordpress plugin you can easily set up your own history timeline with chronological set of events. 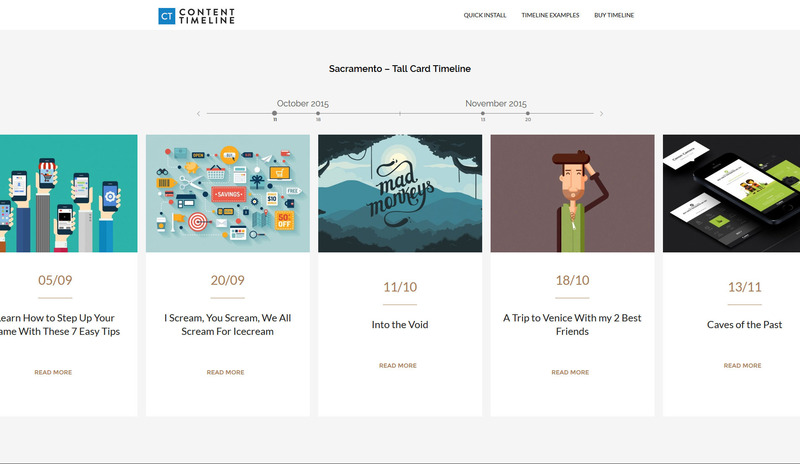 Every card in the timeline has the option to either expand or to open new link (direct link to your post). 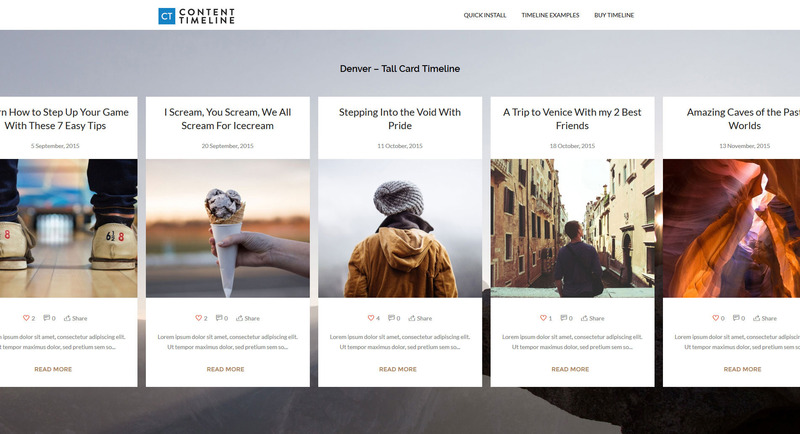 This option allows you to choose wheter you want the timeline to go directly to blog posts or to simply display your data in a separate card on the spot. 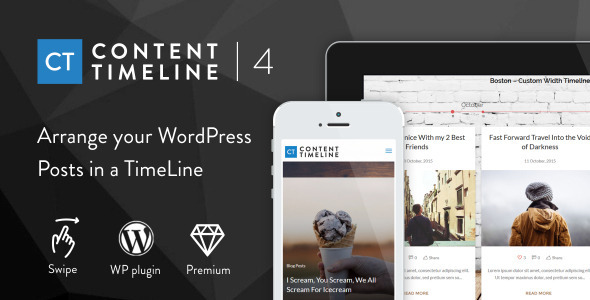 Content Timeline can easily be modified to suit your needs. It has 30 elements places that can be activated on the left side of the timeline and 30 more on the right side of the timeline and you can add unlimited number of groups and items. 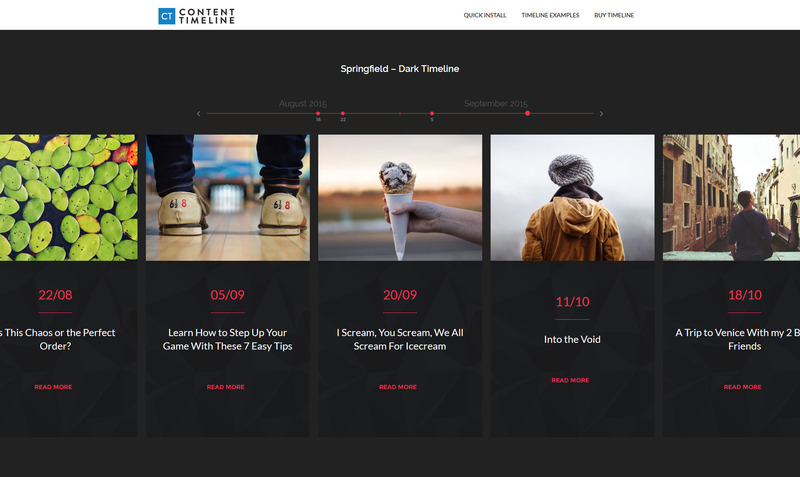 In this preview we have displayed content that is sorted by date, but you can use whatever system you like. - Fixed - Major optimization issue. 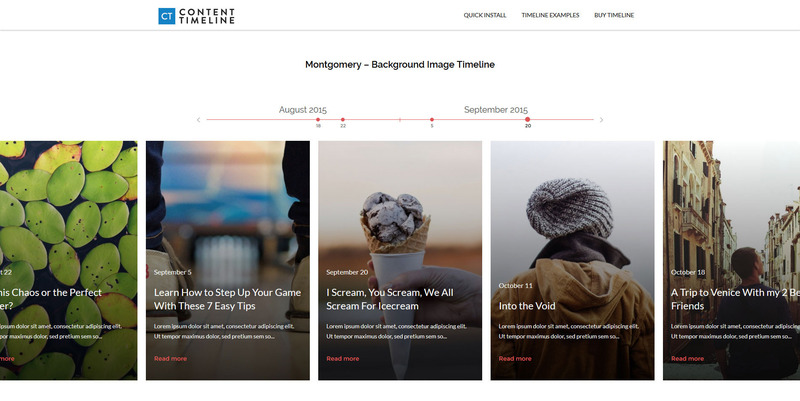 When Content Timeline is not present on the page, the scripts required by CT will not load. - Fixed an issue where the dropdown arrow in backend was not visible. - Fixed an issue with Be theme. We have replaced class /id timeline_items with shi_timeline_items because of the Be theme conflict. - Fixed - CSS on line:1427. Quotation removed that caused some warnings to appear. - Fixed "vertical scrollbar not working"
- Fixed a bug where the blank page appeared when you click on "Add new"
- Fixed a bug where a random error was displayed when you click on "Add new"